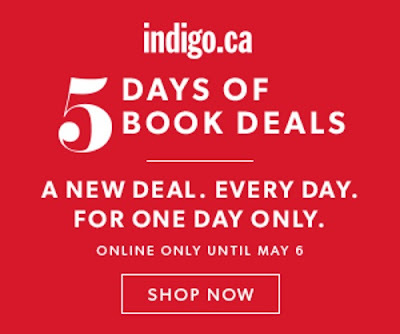 Chapters Indigo has a 5 Days of Book Deals promotion on now! There will be a new deal everyday during the sale. Offers are online only for the one day. Promotion ends May 6, 2016. Free shipping applies on orders over $25. Click here to browse this sale.